Do you want us to keep you updated on future masterclasses? Are you interested in attending this masterclass? Request further details and booking information. Our research shows that around half of businesses don’t have an integrated digital strategy or plan while others are still failing to exploit the opportunities of Digital Marketing. Without a plan for digital marketing you’ll lack direction and focus and you will fall behind more savvy competitors. 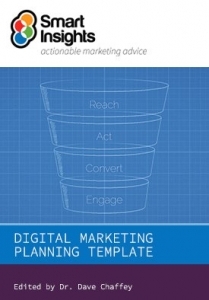 This Masterclass from Dr. Dave Chaffey of SmartInsights.com, the UK’s leading expert on Digital Marketing Strategy and Optimization, will help you quickly create a plan, prioritise and optimise your online marketing activities. Dr Dave Chaffey is CEO and co-founder of Smart Insights (www.smartinsights.com), a digital marketing learning resource that helps businesses manage their online marketing activities to compete more effectively through practical guidance in Templates, Ebooks and online training. Dave is a ‘hands-on marketer’ who, with the team at Smart Insights has used the power of search, social media and email marketing to build a global business that has over 100,000 members with sales from 80 countries. He has trained and consulted on digital marketing strategy for many businesses from large international organisations like 3M, Barclaycard, HSBC, Mercedes-Benz, Nokia and Royal Canin to smaller companies and startups like Arco, Confused.com, Euroffice and Morphy Richards. 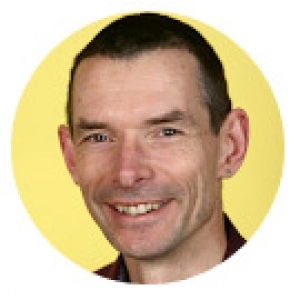 He is a professional trainer who has trained since 1997 for organisations including the Chartered Institute of Marketing, The Institute of Direct Marketing and Econsultancy. Today, training workshops are only available through Smart Insights and MMC Learning. Dave is author of 5 bestselling books on Ecommerce including Digital Marketing: Strategy, Implementation and Practice and Emarketing Excellence has been recognised as one of 50 marketing ‘gurus’ worldwide who have shaped the future of Marketing. I gave my first public training course for the Chartered Institute of Marketing in 1997, created my first site in 1998, wrote my first book on the topic in 2000 and have specialised in helping businesses improve their ROI from this exciting, dynamic area ever since). The programme is structured around the tried-and-trusted RACE Planning framework which covers all aspects of digital marketing needed to grow a business? It is used by Smart Insights members from the largest businesses like Barclays, BT Ecommerce and GSK through mid-size businesses across all sectors to one person businesses. Introduction – What’s Hot and What’s Next in Digital? Act – Encouraging interactions and leads online? All delegates will receive a 50 page digital marketing workbook in Word format that they complete during the day and as a follow-up to create a robust digital marketing plan. What does the template cover? The template is structured around our simple RACE Planning framework giving a one page summary checklist of key online marketing activities for each part of RACE structured under the headings of Opportunity > Strategy > Action. Register interest / request further details and booking information. Fill out the form below to get more details on this masterclass and booking information OR if you would like us to keep you posted by email on future masterclasses.